Monterey Cinemas has specific house polices such as Responsible Service of Alcohol and may have other conditions of entry that apply from time to time. These are made available at Monterey and you agree to be bound by these. Cameras, audio and video recorders are not permitted inside any Cinema. 1.1 You agree to be bound by these Terms and Conditions by purchasing, activating, using or attempting to use your Monterey Cinemas Gift Card or making any transactional query. 1.2 By using a Monterey Cinemas Gift Card, you warrant to us that you will comply with these Terms and Conditions and all applicable laws and that your Monterey Cinemas Gift Card will not be used in any manner which is unlawful, misleading, deceptive or unfair. 1.3 If you are giving a Monterey Cinemas Gift Card to another person you must ensure that the recipient of the Monterey Cinemas Gift Card is aware of the Terms and Conditions that apply to the Monterey Cinemas Gift Card and the relevant expiry date. 1.4 Monterey Cinemas reserves the right to amend all or part of these Terms and Conditions at any time. 2.1 Monterey Cinemas Gift Cards can be purchased from any Monterey Cinemas cinema in New Zealand. 2.2 Monterey Cinemas Gift Cards purchased from any Monterey Cinemas cinema in New Zealand can be individually loaded with any value between $20 and $500. 2.3 The value which can be loaded on to each Monterey Cinemas Gift Card may change from time to time. 2.6 Once a Monterey Cinemas Gift Card has been purchased, it cannot be refunded. 3.1 Monterey Cinemas Gift Cards can be redeemed at any Monterey Cinemas cinema in New Zealand at the counter for tickets to any available movie session at any time as well as for items at the Candy Bar. Any value redeemed will be deducted from the available balance. 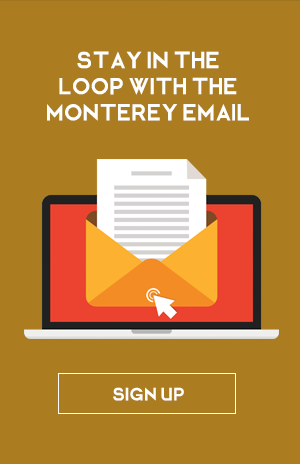 3.2 If your purchase/s exceeds the available balance on your Monterey Cinemas Gift Card, you must pay the excess using another method of payment. 3.3 Monterey Cinemas Gift Cards are valid for 12 months from the date of purchase. Our record of your expiry date is final. Once your Monterey Cinemas Gift Card has expired the Monterey Cinemas Gift Card cannot be re-activated and any unspent value cannot be used or redeemed by you. 3.4 Once a Monterey Cinemas Gift Card has been purchased and loaded with value or when the Monterey Cinemas Gift Card has reached a $0 balance, no further value can be added to it. 3.5 Monterey Cinemas Gift Cards cannot be redeemed for cash. No cash advances will be made at any time. 3.6 Monterey Cinemas Gift Cards cannot be redeemed for prepaid movie vouchers or Monterey Cinemas Gift Cards. 3.7 You do not need to use the entire available balance in one transaction. No change will be given, however, the remaining available balance may be applied to future purchases until the Monterey Cinemas Gift Card expires or the balance reaches $0. 5.1 You should treat your Monterey Cinemas Gift Card like cash. 5.2 Monterey Cinemas Gift Cards cannot be replaced or refunded if lost, stolen or damaged. (b) we believe (or reasonably suspect) that you have used (or will use) your Monterey Cinemas Gift Card contrary to these Terms and Conditions. 5.4 At our absolute discretion, we may change our policies and procedures on lost, stolen or damaged Monterey Cinemas Gift Cards. If we decide to do this, we will publish details on our website. 6.16. 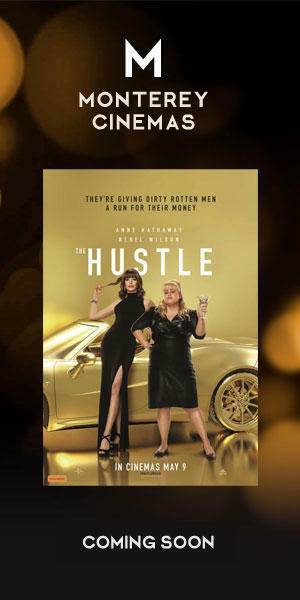 If you wish to dispute an amount deducted from your Monterey Cinemas Gift Card, you must contact management at Monterey Cinemas. If an amount is not disputed within ninety (90) days after the transaction date, we may (at our sole discretion) refuse to provide you with a refund. The Film and Video licensing body is responsible for censorship in New Zealand. Monterey is bound by their ratings. 1. R rated films - For any R rated film all people within the cinema must be a minimum of that age. Monterey Cinema is not allowed anyone in the cinema if they deem them to be underage without proof of age. 2. Child age is anyone 15 and under - tickets must be paid for any child over 2years old or if they are going to take a seat in the cinema.